Is SEO Guest Posting Dead? SEO continues to be an effective way of getting high search engine rankings and communicating with your targeted audience. You should be familiar with Matt Cutt’s January 20, 2014 post, The Decay and Fall of Guest Blogging for SEO if you follow the world of Search Engine Optimization closely. His post sent shock waves throughout the digital marketing community. Guest posting was a reliable marketing technique for several years, but many people did not have a full understanding of guest posting for SEO. This was one of the biggest problems with using this digital marketing technique. They were concentrating on the goal of chasing the maximum number of different domains. This caused problems for digital marketers that did not abuse this strategy. Let’s say the publisher makes only one post on each site. They make an earnest effort to do six guest posts per month. They are fortunate to get on the high authority sites within a day or two. In the long run, these websites with will fall in the rankings. In many cases, these sites have fallen into the “Weak” category by the fourth month. By the eleventh month, they are putting new posts on Genuinely Bad websites. They can avoid this problem by posting quality content on sites that do not write about their niche regularly. Well, this will lead to a new problem. There is no relevance! This paradox has made it very difficult for many digital marketers to promote their services and goods on the internet. They are having a hard time with getting the search engines to show favor to their marketing efforts. In the world of digital marketing, you cannot promote your site without search engines. Press releases were one of main the highlights covered by many digital marketing instructors several years ago. It became a common practice for digital marketers to send out press releases to get high rankings. In most cases, press releases helped them get an edge over their competitors. Press releases offer exceptional results if they are used properly. They can help the media and bloggers learn more about your business. This will give your digital marketing efforts more exposure. An intelligent guest post can produce the same results. Connecting with three high-authority websites and five pretty high-authority websites will provide exceptional results. These sites have a large following and they can transfer their authority to your site. You stand a good chance of getting tons of social shares if you publish great content. Please keep in mind that high-authority websites are not that easy to get into. It may take some time for you to get to that level. Persistence is the key to getting to that level. Guest posting for SEO offers some advantages to digital marketers. However, I think you should concentrate your efforts on other digital marketing techniques. There’s a possibility that Google will disable established links from guest posts. This could hurt your rankings. You should work hard at building a strong reputation in your niche. Sharing valuable content will help you become the true authority in your vertical. People will visit your site and link to it. It will be a win-win situation for everyone. As effective as Amazon’s AWS EC2 may be, its pricing structure is unfortunately too expensive for many people that are just starting to build their website and attract traffic. Luckily, there are plenty of other alternatives that provide just as much functionality, without substantial increases in pricing also. Whether you’re interested in building a site with WordPress, Drupal, or Joomla!, these AWS alternatives to AWS EC2 will have your site up and running in no time. Digital Ocean is perhaps one of the most well known alternatives to Amazon’s cloud hosting service. In fact, many developers have opted to move away from Amazon in favor of Digital Ocean. Aside from being a cheaper alternative, Digital Ocean has also established itself as being considerably more efficient as well. For those that are particularly price-conscious, Digital Ocean is currently offering a promotional opportunity where new users get up to $10 in free credit. For those that find Digital Ocean’s offers still too expensive, Vultr is the next best alternative to the two big names in cloud hosting. In addition to being competitively priced, Vultr also prides itself on offering cross-platform functionality. Vultr’s services are designed to be compatible with both Windows and Linux-based systems. Anyone that is on the fence about Vultr’s services can sign up now to get up to $50 in credit for 60 days. VPS.Net is a little different from the others in this list. While we’ve primarily focused on pricing as the main difference between these services, VPS.Net is actually more focused on accessibility. While VPS.Net is still competitively priced compared to Amazon’s services, VPS.Net’s real strength lies in its user interface design and intuitive functionality. VPS.Net is particularly recommended for beginners that do not have much underlying experience in working with cloud hosting providers. Unlike the other cloud hosting providers, LeaseWeb is not cheaper than its main competitor, Amazon. Instead, LeaseWeb offers a more expensive service that makes up for its higher price point with greater functionality. Users that sign up with LeaseWeb can enjoy greater download speeds and a larger amount of traffic support. LeaseWeb is particularly recommended for experienced users that need to address the growing demands of their website. As a site’s traffic builds, they’ll want to look into moving away from Amazon in favor of a service that provides more for a slight increase in price. Linode used to be one of Digital Ocean’s primary competitors, but shifts in the market have led Linode to be increasingly isolated. Of course, Linode does still provide some useful features to users that have decided to stick with it. Unlike many of the others on this list, Linode offers users a load balancing feature, to ensure that their infrastructure remains stable regardless of incoming traffic. It is worth mentioning though that Linode is only recommended for Linux users, so their services aren’t really for everyone. CloudWays is unique among those on this list in that they also offer managerial services. Unlike the other cloud hosting providers listed here, CloudWays works with users to help them manage their systems across Google, Digital Ocean, and Amazon. As a result of this cross-functionality, CloudWays is particularly useful for users that have had issues in the past trying to keep track of their various providers. Similar to CloudWays, Cloudwith.me works with users to provide them with a managed data center services option. Unlike CloudWays, which works with a range of cloud hosting providers, Cloudwith.me is specifically interested in helping users to work with Amazon. As a result of this specialized focus, Cloudwith.me is primarily geared towards users that do most of their business through Amazon and need a managed services option for that specific sector. Users that regularly mix and match service providers will want to look elsewhere, but those that only work with Amazon will get the most value out of Cloudwith.me’s competitive pricing and improved features. For those in Europe, XenPower is perhaps the most competitively priced alternative to Amazon currently available. Although their services are cheap even by international standards, XenPower’s primary focus is on providing a reliable and stable cloud hosting service to the European market. Atlantic.net is comparable to Digital Ocean in terms of scalability and pricing, but they lack the accessibility of Digital Ocean. If Atlantic.net’s offerings are enough for your site’s current needs, then they’re an effective option to both Digital Ocean and Amazon. Of course, if they’re not, then it’s probably a better idea to simply go with Digital Ocean. Codero is another competitively priced cloud-based hosting service that separates itself from most of the others on this list simply by supporting Windows-based systems. While most providers are based on Linux, Codero has also built-in support for Windows and reseller SEO services in order to ensure that it can work with a wider audience. Although negotiating with Amazon for discounts can be an unique and thrilling experience, it’s oftentimes easier to simply look at what their competitors are offering. In this case, we’ve outlined some of the best alternatives out there for cloud-based hosting services. Whether you’re a new user interested in building a site from the ground up, or an experienced veteran that is looking to expand their operations with greater functionality, there is sure to be something on this list for everyone to take advantage of. As always, the most important thing to do when researching options is to experiment with their promotional opportunities and see which one is the most reliable. With tomorrow’s customers driving today’s search engine results, semantics play a key role in the way search engine algorithms operate. In a nut shell, the LSI (latent semantic indexing) formula links a user’s intent with the search terms they enter and uses this information to rank pertinent web pages. Latent Semantic Indexing allows online advertisers to take a closer look at people’s internet search patterns. Because Google itself uses this technology to browse through huge data chunks in order to connect user search terms with search results, marketers can use it to more easily select keywords for their specific niche. LSI is closely related to Google’s Hummingbird algorithm. Internet advertisers who need SEO-optimized material may wonder whether keyword research is still necessary with this algorithm in place, and the short answer is yes. Although the Hummingbird algorithm impacted Google’s methodology for computing search queries, keyword research is still absolutely essential for online marketers. The best strategy is to more closely study your search queries to see if the terms match the user intent of a SEO customer’s targeted audience. Natural SEO best practices shouldn’t stray too much from standard keyword planning in favor of more context-based strategies. In truth, modern SEO really needs to combine both of these systems in order to produce the most reliable strategy. Researching keywords with only a word list and their search frequencies isn’t in-depth enough to create well-targeted LSI material. Online advertisers must realize that keywords are only a general indicator of people’s online browsing habits and needs, which is why considering a user’s intent or persona is invaluable when performing a targeted keyword analysis. To determine a user’s persona, it’s imperative to understand their specific desires and objectives. This helps to pinpoint what terms users are interested in when making queries. The two simplest personas to study are researchers and prospective buyers. Researchers are usually more interested in SEO tools, tips/tutorials/statistics/guides, and the companies that make them. Potential buyers are more likely to be searching for a specific brand of SEO agency, SEO costs or prices, or SEO consulting. With both of these personas in mind, it’s possible to create an index of keywords and tag them based on a user’s intent. Performing LSI keyword analysis is highly comparable to conventional keyword research. A marketer will still have to figure out how hard it’s going to be to rank positively for a specific keyword, the amount of organic value it has, and how pertinent it is to a customer’s company. An example is a ‘professional SEO agency‘ who wants to rank well for the key phrase “SEO agency”. 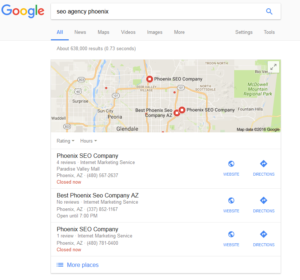 Terms that might show up during the preliminary keyword research like “best SEO agency”, “top SEO agencies”, and “SEO company near me” function as basic LSI matches. They’re related to the main keyword and add context to it, enabling users to incorporate them into their content to rank higher. When creating a list of keywords, it’s important to look at how a keyword lines up with the subject matter of targeted content. In short, the targeted search terms need to be synchronized with the web page material. A smart way to harmonize targeted keywords with content subjects is to cross-check a user’s persona to determine where they’re at in the search funnel. This makes it much easier to establish what type of content is needed to boost customers up to a higher level. So for marketers who have an active web page about search engine optimization services, it might be a good idea to add certain terms like “SEO firm” or “natural SEO strategy” to the content. These keywords are aligned with both the site’s and the target audience’s intent. Google Keyword Planner offers marketers a projected level of keyword traffic, in addition to exact and similar keywords for a specific niche market. Although it’s best suited for a Google AdWords campaign, this tool assists advertisers in looking up the ideal search terms to include in online SEO content and anchor text for link building services. Briefly researching terms on Google’s search engine is the easiest way to find LSI terms that are related to a main keyword. Users just need to enter their main keyword to retrieve bolded keywords that show up as similar search results. Google also provides extra search relevant results which can be found towards the bottom of the search engine results page. LSI Graph is a cost-free program for creating keywords that are connected or share a similar meaning with your main keywords. It provides a more convenient method to locate and list LSI keywords than a simple Google lookup. All the program requires is a single main keyword in order to bring up more than 49 LSI search terms. When it comes to performing in-depth keyword research for LSI search terms, the most valuable tip is to keep everything in order. It’s best to look for search terms that will blend in with a SEO customer’s web page, while taking care to not simply cram a page full of keywords without offering any valuable new info, as doing so can result in Google penalties against the website. The idea is to make smart use of search term relevance to formulate a keyword strategy that will pay off by bringing in more web traffic. Content marketing leaders are pacesetters. Do you know why there are more followers than leaders in the online marketing world? One reason is that leaders quite literally lead the path, by showing others how to get stuff done. Sadly, many of those we refer to as leaders in blogging, social media, and SEO just aren’t getting us motivated and excited anymore. They’ve become occupied with other activities that don’t encourage them to create the kind of content that originally brought them traction, leads, sales, and revenue. But the few digital marketing influencers who spend their time creating the right content drive more traffic and leads than they can handle because they continue developing awesome content for their own blog. Digital advertising is a bit like leaving online bread crumbs for your buyers to locate and follow, finally leading to the products and services of your firm. But, unlike a road that is clear-cut, digital stations let customers and prospects to enterprise on a labyrinth-like avenue toward purchase. Strategizing for this particular switching buyer’s journey may be somewhat challenging, particularly as the tools you utilize to connect with customers shift together with the manners they would like to receive info. However, the aim–to communicate efficiently with buyers–stays the same. So are marketers managing strategies and their budgets for 2016? Here are 10 digital marketing trends with data that will help you put together the appropriate combination of tools and strategies to land clients and inspire actions. 1. Direction and content development now maintain the second biggest share of advertising budgets that are digital. Between social networks, customer-driven websites, newsgroups, and video, creating and SEO service strategy around content that is successful, timely, and interesting is huge for 2016. As customers use more digital stations for cooperation, research, and purchase the pressure to fuel the proper advertising stations is also growing. To remain competitive, focus on on-line content development. Develop a team of gifted folks as well as a dynamic strategy to develop amazing content that inspires customers. 2. 28% of marketers have reduced their promotion budget to finance more digital marketing. This indicates an important shift away from the old school way of advertising towards more nontraditional channels that are on-line. Strategy changes predicated on results are much more easy to get into activity, companies can stretch cash farther when digital marketing is operating efficiently, and marketers are assured that they are given a higher ROI by on-line choices. 3. Digital advertising spend is predicted to grow by 2016 to 35% of overall funds. Every company understands they want to market, but the trick is understanding how to divide a promotion budget between on-line and conventional advertising–subsequently allocate the on-line part among various stations. To take advantage of your cash, shoot for where your contest has a powerful presence or where your target market hangs out on-line. The best plan would be to attempt something, course results, then tweak your strategy to optimize ROI. Cellular advertising is increasing as the quickest growing marketing route that is digital, which makes it a budget must have in 2016. Success comes to the analytics. It is much simpler to monitor performance and measure ROI with website traffic amounts that are reputable. These solid numbers provide you with a clear image of the utility of a web-based campaign, but traffic is not everything. This stat additionally reveals the immaturity of advertising measurement in many organizations, as well as the demand for more in depth data and evaluation. You will be jumps ahead of the competition if you’re able to ramp up your content marketing analytics in 2016. 5. Organic search leads have a 14.6% close rate, while outbound advertising leads have a 1.7% close rate. Organic SEO services are to search that the Holy Grail is to internet traffic, as it means you are being found by people of their particular volition–no shoving needed. Nevertheless, it requires a lot of small seeds like social networking shares, word of mouth, employing cross platform content, and consistent fresh content to get folks there. The advantage is the fact that, by preparing in the digital marketing pipeline and in small steps, the salesperson can close the deal. Digital marketing is extremely adaptable; firms tweak an unsuccessful effort can raise the scale of a successful on-line effort, or replicate a successful digital advertising strategy from a different product or service. With the capacity to monitor success within hours, changes can be immediately turned around by firms with the infrastructure or upgrade strategies quicker than ever before. 7. Search engine marketing (SEM) will continue to get the biggest share of online spend at 47%, or about 14% of the company’s overall advertising budget 2016. Businesses are spending huge dollars to get eyeballs online, which means they’re establishing the rate that is competitive. Understanding where to find your customers is the secret to linking with them, also it changes as new programs, applications, and cellular apparatus impact customer customs. Investing cash into Search Engine Optimization and search engine marketing is essential in case you’d like to participate or re engage a customer on their route to buy. 8. Video is used by 73% of B2B marketers as a content marketing strategy, and 7% of marketers plan on raising their YouTube advertising. Big firms rely greatly on YouTube to spread the word on their services and products in regards to video content marketing. Yet, you do not have to be large to leverage the power of video. With smart phones in the pockets of the majority of individuals aged 18-44, accessibility to video is a no brainer, and that does not even factor in other kinds of cellular devices. 9. 84% of top performing businesses are using or aim to start using marketing automation by 2016. The content train is currently in perpetual motion–and it is become nearly not possible to manage advertising attempts manually. Automation enables businesses satisfy the requirements consumers in an international market and to stay consistent contact through personalized content. In addition, it enables organizations to centralize landing page creation, web analytics, email marketing, segmentation, list management, and multi-channel campaign execution, and make a deeper alliance between sales and advertising and find ways to quantify performance responsibility. 10. 67% of Twitter users are more inclined to purchase from brands they follow. Among the greatest advantages of Twitter is the swift-moving flow of advice, making it simple to add content that is fresh during the day. Tweets are not difficult to automate, repurpose, and utilize as a tool to share links for websites, videos, competitions, or statements in a form that’s fast to share. Twitter additionally gives a productive solution to link directly with customers to control customer problems or showcase favorable customer care to brands. When all the small “bread crumbs” you plant along the way come together, it may have a huge effect on the bottom line of link building services. In addition, it makes all the digital marketing data you gather in deciding your content strategy that much more precious, a new year, particularly as you enter. Take a look at our cool, challenging advertising stats page. It’s all the information you should ramp up your playbook for 2018. Back link building and Link Earning are two different things in regards to encouraging your content and building up links to your website. Link Building is the procedure for getting links back to your website from various sources. This seems great, but businesses and a lot of websites have abused it by attempting to add links where they do not make sense – in effect, cheating the system. Link Earning is similar, but focuses on links obtained in a quality link building service, all-natural manner. For instance, if content is being shared by active users (not junk accounts) on social networking, that is an earned link coming from high quality content. Over time, one of the most famous techniques for constructing links has become the utilization of a Private Blog Network (PBN). These networks are viewed as a sneaky, underhanded way of building links to your website – basically, the owners are faking to be a group of independent bloggers that are focused on assembling links to money making websites. The serious issue with PBNs is they do not exist as a destination on the net – nobody’s actually meant to go there, unless it is specifically for the purpose of continuing on to the next website, and owners seldom put in the attempt to bring new subscribers. Link building is the only reason most of these exist. Worse, PRNs are a poor long term investment – it requires lots of time plus attempt to set up a website so that a number of its own links are pointing to a moneymaker, as well as the results are seldom worth the effort expended… particularly with search engines actively cracking back on techniques in this way. This is actually the heart of the issue as well as the most important reason you need to avoid link building. A number of years back, most Search Engine Optimization firms were completely discounting the ability of link earning. They saw it as a long, slow process that could not be used to convince others to purchase their natural link building services, so they spent all of their attempt on fast-success techniques to keep their business going. It is still possible to do a bit of link building, obviously, but search engines such as Google are sending more and more signs indicating that they will be fixing their algorithms to counter man-made links and discourage individuals from using them. The reasoning behind all this is clear-cut and easy. Search engines desire to supply high quality results that fit what the users are seeking. If folks can not locate what they will need, they will go someplace else, which means search engines use their other products or can not sell advertising space. Search engines think the most effective way to determine what is really worth revealing in results would be to see what actual people really care about. Therefore, man-made link building is viewed as damaging the standing of the business and distorting the procedure – and worse, possibly reducing its gains. In summary, link building is a fiscal threat to search engines, and they are really methodical about deterring it. You need to concentrate on the promotion and Search Engine Optimization techniques which will reward your time and effort rather than penalizing them, in the event you really want your own company to be successful. Link earning has a wide collection of values which make it worth contemplating in spite of the long term effort it demands. Let us have a look at the parts that are most remarkable. Given the option between ten customers per month and a hundred customers now for the the next couple of years, I’d pick the latter every time. Content marketing is a long term strategy where the site posts now, you put up could continue bringing traffic that is important, curious for quite a while to come. This really is what is called composing ‘evergreen’ material, and it is a core part of promotion strategies that are content. If you’re able to survive the short term startup hurdles, link earning is perfect for hastening your future increase. Then your business plan needs some serious revising in the event you can not beat those hurdles. Few things are specific online, but it is almost clear that individuals who have earned natural links to their content will never be penalized by Google. The exact same cannot be said about link building, which is being penalized and will probably be reach even more after the programmers of Google can determine the most effective way of doing it. Remember, all these are well-paid, highly-gifted, extremely inspired individuals. In the event you invested in link building today, it is completely possible the results could penalize you so much you wouldn’t even break even on your investment. Creating amazing content is not always simple – but if you are going to earn links, then you will have to focus on the quality of your content… and that is a good thing. Content is usually an afterthought for businesses that focus on link building – they consider they are able to get results that are simple, so they do not spend almost as much time creating content that folks care to read. On the flip side, understanding you will only succeed should you create high quality stuff drives you to make your best attempt at all times. The outcome is a huge set of content that is timely, useful, and may be utilized over and over again to bring customers in and support your organization. How Will You Be Able To Begin Making Links? Here are a few of the best things that you are able to do if you are ready to make the leap to earning links rather than building them. Having specialists talk about your products – and link back to your shop – is consistently rewarding. This comes in on several degrees. Business Specialists generally remain on high-authority pages and websites, generally the ones which have been built up over an extended time. Links that are earned from these websites tend to be more valuable. Many individuals interested in a specified subject frequently follow specialists. This raises the possibility your content will be shared – and their particular worth is taken into consideration. You can follow through their content to see who is interested and paying attention when you understand who the pros are. This can enable you to locate folks to contact. Guest posts reaching new audience and stay an excellent manner of both earning links. The important thing here is the fact that the post you make should be worth sharing. No one wishes to read a site only to get spammed by ads for content that is unrelated. Guest posts are a great time to be educational or contentious. For instance, you might post up an interview with someone in your organization, precisely what readers could look forward to later on and describing trends in the business. You can take a stand on an issue, weighing in as an expert view to help power readers to a side. Press releases are a great manner of receiving the interest of journalists and other people working with high-authority news sites. With the release that is best, you could begin earning a number of the best-authority websites online, and it is not easy to understate how precious this can be for a company that is developing. Nevertheless, take care to prevent attempting to manipulate the press into giving you links you do not deserve – it’s always better to create powerful content that helps them bring new readers, as this could result in earning more links over time. Sadly, many companies do not understand how to correctly contact journalists and send press releases out in a way that will get detected. Think about using a service like MarketersMedia – the return on investment for using a distribution service usually far surpasses what you will cover their help, making them an excellent choice for small-scale businesses looking to get a much-needed boost to their gains. Reviewing the things others have made can earn you some astonishingly high quality links should you take time to make content that is sensible, precious. This will not always be a direct link – it is the dialogs these beginning that enable you make guest posts to form links, and reach a bigger audience, and reviews are regularly you get the focus of a programmer. The more posts your website has, the simpler it’ll be to have people linking back to your website. Regular upgrades can and do have an immediate effect in your total scores – in turn, that makes your posts easier to discover, and seeing your website is often upgraded gets search engines consider you are important and timely. When your posts are more easy to discover, more people would link to them, encouraging their worth. The cycle might not be completely self sustaining, but this accelerated increase is an integral characteristic of the later phases of content marketing to get traffic to your website. Occasionally, the most effective method of links that are earning is stepping away from the computer. As an example, you take part in a seminar or can make a number of public addresses. When folks get back – or even while they are still there – they’ll motivate their friends to take a look at what you need to say and likely talk about what they heard online. I am going to be totally frank with you – link earning is difficult. It will take lots of attempt plus time to pull it away, but as we discussed previously, the long term benefits are worth it.